Some angry residents of Tarkwa and Nsuaem in the Western region have blocked the main road that links their community to Takoradi and the Western-North Region to register their displeasure over the bad nature of roads in the municipality. The angry residents and in red, chanted war songs and have demanded for the immediate repair of their poor roads. 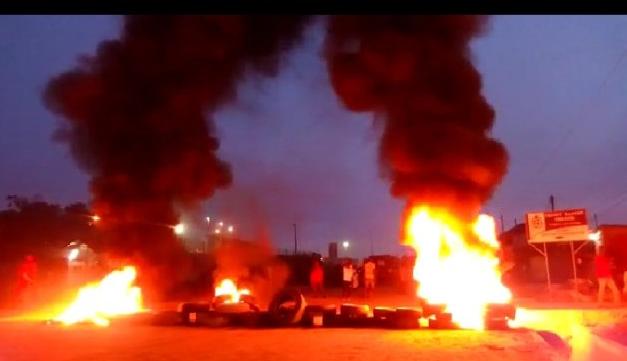 They set ablaze car tyres in the middle of the roads with the aim of preventing vehicles from moving in and out of the municipality. According to them, all efforts to have their poor roads repaired have proved futile.